HQ launched its first voice app exclusively on the Google Assistant yesterday. But unlike its popular mobile app, HQ Trivia, players cannot compete for a cash prize. Instead the new app is called HQ University, and it meant to help players train for the live games. The Google Assistant action features the voice of HQ host Scott Rogowsky as well Fredo, a new “A.I. Teacher’s Assistant.” HQ University is available on the Google Assistant mobile app, Google Home devices and Google Assistant smart displays, like the Home Hub. The voice-first app is similar to the mobile app game where players are given 12 questions to answer that get progressively harder. One key difference is that as its practice, players can keep going even if they answer one question incorrectly. “Google is one of the most innovative brands in the world. We believe in the power of voice and how Google Assistant can impact people’s lives. Partnering with Google to bring HQ to fans on demand to practice their trivia skills was a no-brainer,” said Brandon Teitel, SVP of programming and partnerships in Digiday. The popular trivia game quickly went viral when it launched in August of 2017 and had over 1 million players competing for the cash prize by the end of its first year. In December 2018, HQ and Google announced a partnership where Google would “take over” the nightly games where Rogowsky would do live product demos of devices such as the Google Home and ask Google Assistant for help in answering the questions. Now the partnership has produced an exclusive voice-first version of HQ Trivia for the Google Assistant. According to Digiday, the company has no plans to launch on other voice-assistant devices. HQ Trivia is a way for Google to acquire exclusive content for its Assistant. 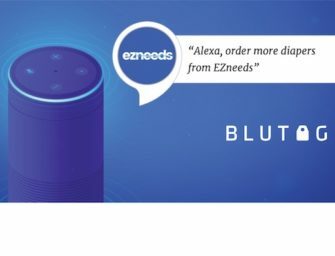 Exclusive app content is one way for companies to increase user loyalty and engagement for their voice assistant platforms. Google has held its YouTube app from integrating with Amazon Echo Show (although it can be accessed through the new browser support feature) and Sirius XM is still only supported by Amazon Alexa. HQ Trivia may not be as popular as it was at its peak in 2017, but the live games still pull in over 600,000 competitors according to a recent company tweet giving Google access to thousands of HQ’s loyal fans and potentially increasing user engagement for Google Assistant across all of its devices.